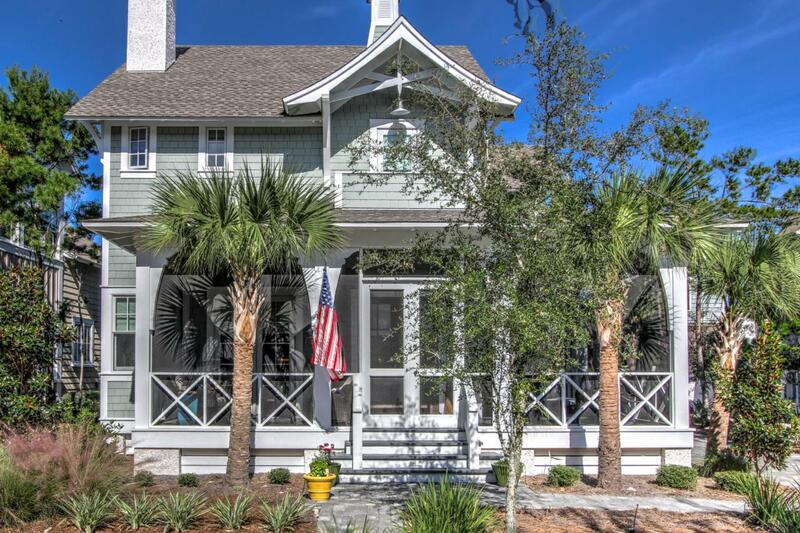 Tucked behind the gates of WaterSound Beach, this beautiful 4 bedroom, 4.5 bath coastal cottage is situated on an oversized lot and just minutes from the walkways across the dunes to the sugar sands of the Emerald Coast. 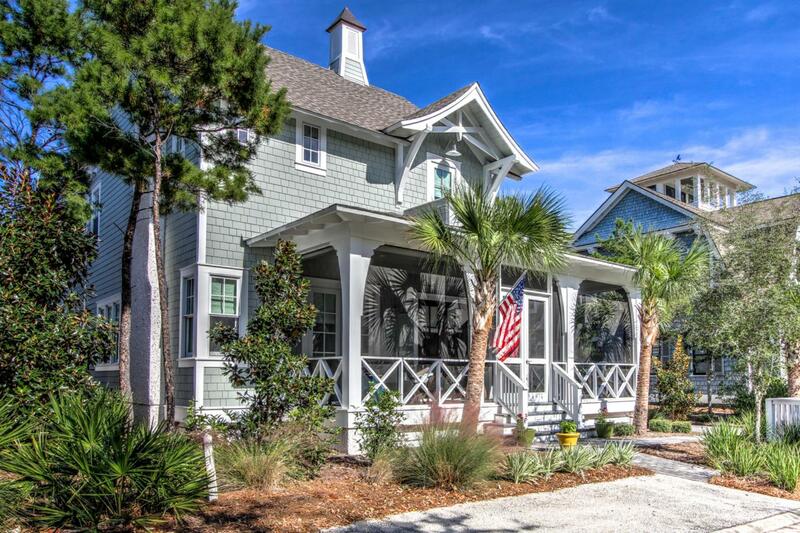 Discover a rare combination of tranquility and location within this desirable neighborhood. 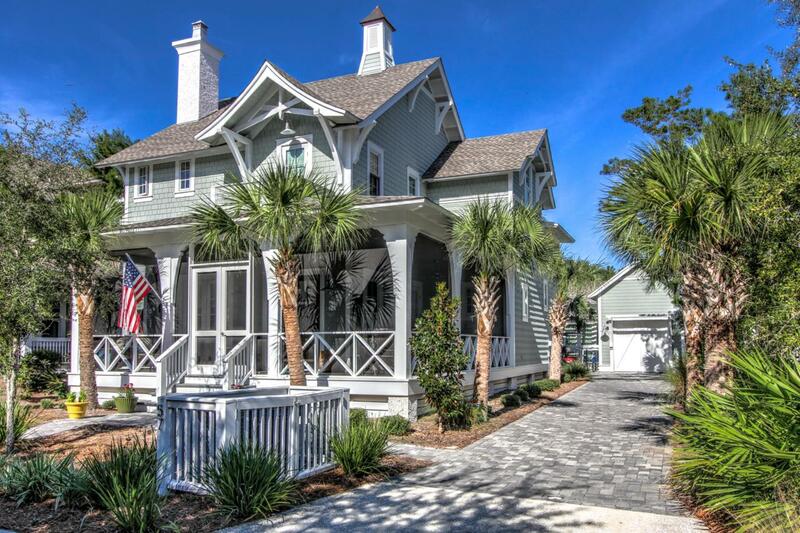 The home boasts coastal elegance with the reclaimed floors and shiplap walls and pecky cypress beams line the tall ceilings of the stately home. As you enter the chef's kitchen a suite of professional-grade appliances includes a six-burner Thermador gas stove, steam and warming oven. An oversized farmhouse style sink, natural quartzite countertops sit atop the custom cabinetry, defining the perfect atmosphere for family dinners. A wet bar just off the kitchen sets the mood for acocktail hour in the open concept living room around the gas fireplace, The first-floor master suites make luxury paramount, with a custom tile ensuite, walk-in shower, and lounging tub. An expansive laundry room allows ample room for folding clothes and additional storage. The second-floor master has an ensuite and private balcony. Two additional bedrooms await guests or family on the second level, just off the upper sitting or reading area. The office space could easily be converted to a bunk room for additional sleeping room. The first floor opens to a spacious seating area and outdoor kitchen surrounded by a private backyard space with room for an in-ground pool to be installed. A heated & cooled one car garage & storage area complete the exterior of the home. 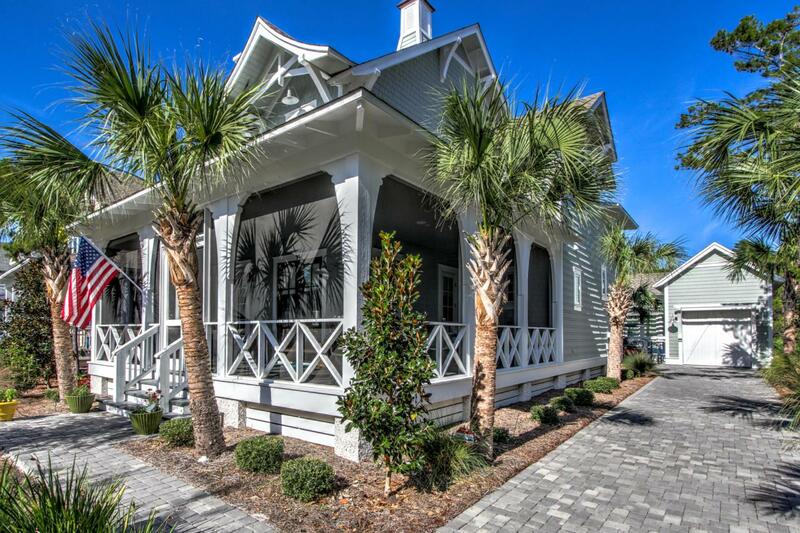 Life at WaterSound Beach affords limitless possibilities for activities, a simple afternoon of taking the 4-seater golf cart and lounging at the WaterSound Beach Club or a day on the greens at the t-box. Live every day like a vacation! Additional upgrades to the home include: Rannai Tankless Water Heater, Whole-House and Outdoor Audio System, Generator, Whole House Security System.